The Saltydog analyst likes bond funds right now. Here, he reveals which one he's added to the portfolio. Each week we look at the performance of thousands of Unit Trusts, OEICs, ETFs and investment trusts. We're looking for two things. 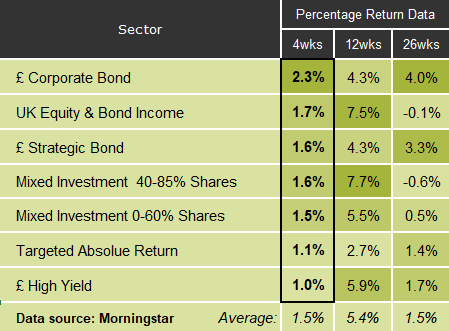 Which sectors of the market are trending up, and what are the leading funds in those sectors? First, we split the sectors into our Saltydog Groups. Some sectors are very reliable and dependable…and a bit dull. They plod along and nothing much happens. Historically, this means things like cash – the safest, most predictable asset of all – and bonds. Generally speaking (although not always, especially after the effect of Quantitative Easing on bond markets), your money is safe here, but it's never going to grow very much. Then at the other end of the scale are sectors of the market which are very unpredictable. When they go up, they really shoot up. And when they go down, they really drop down. Here we find things like emerging markets, tech and telecoms, and China. You might make a lot of money in these areas, but you might lose a lot too. To use a more technical term, we can say that the more predictable, reliable investments have low volatility. They don't move up and down very much. And the more unpredictable, 'excitable' sectors have high volatility. They move up and down a lot. 3. Steady As She Goes – UK Equity Income, Flexible Investment, Global Bonds. We use the different Groups to help control the overall volatility of our portfolios. The more that we keep in the 'Safe Haven' and 'Slow Ahead' Groups, the less volatile we would expect the portfolio to be. Last week the Sterling Corporate Bond sector was at the top of the 'Slow Ahead' Group, based on its cumulative four-week return. (It also leads over 26 weeks). This sector did particularly well after the financial crisis when central governments were piling money into the economy (through Quantitative Easing) and keeping interest rates at record lows. 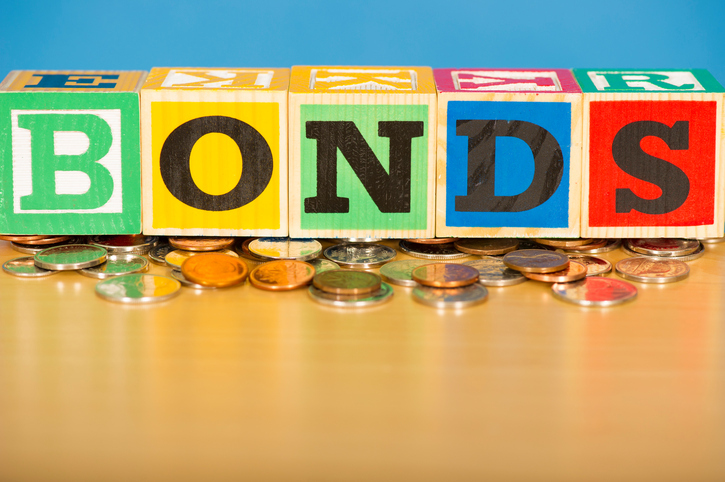 When interest rates rise, bond yields are expected to rise and so prices fall. Last year we saw interest rates rise in the UK and America, where Quantitative Easing has also stopped, and at one stage people were forecasting several more rises this year. It now looks as though the rates will not rise as quickly as had been anticipated, and that should help maintain bond prices. Over the last six months there are a number of funds in this sector that have gone up by more than 4%, and they've done particularly well in the last three months. We've recently added the Baillie Gifford Investment Grade Bond to one of our portfolios.